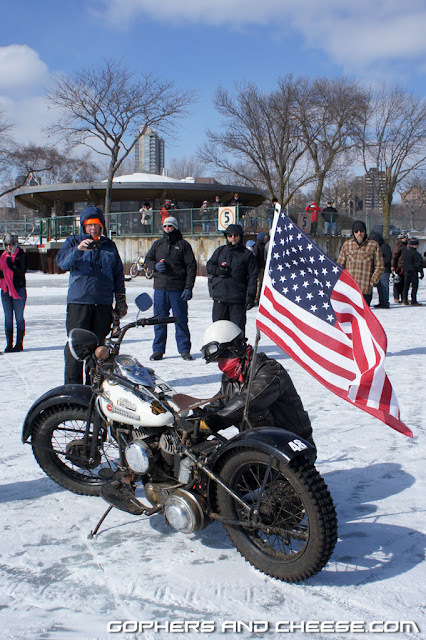 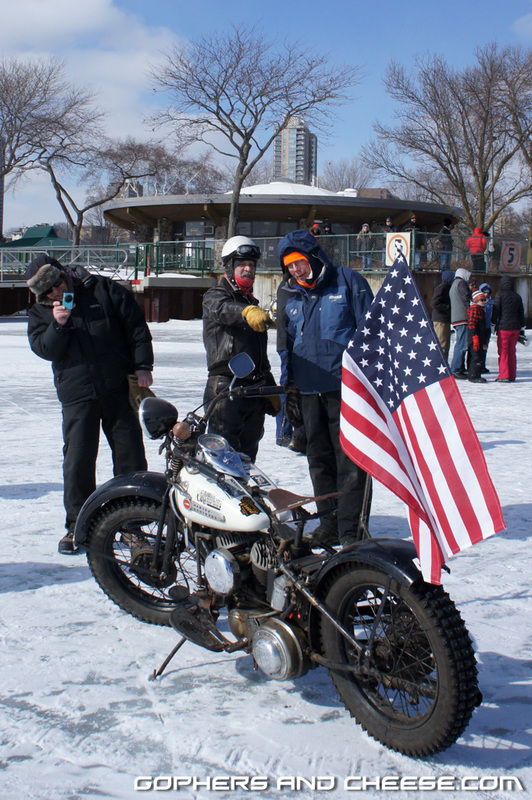 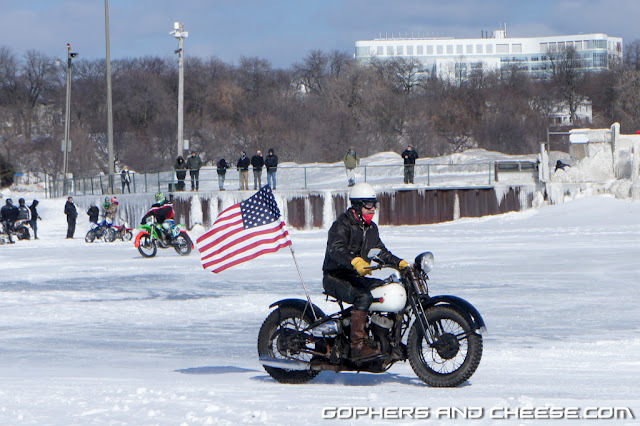 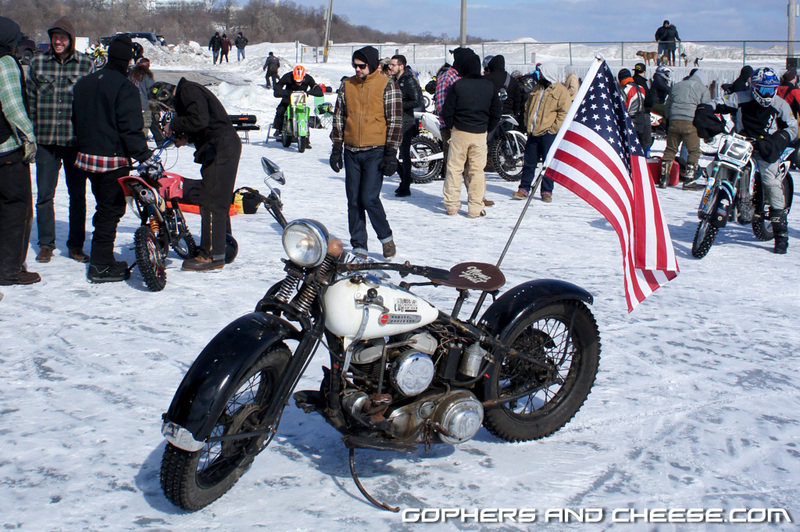 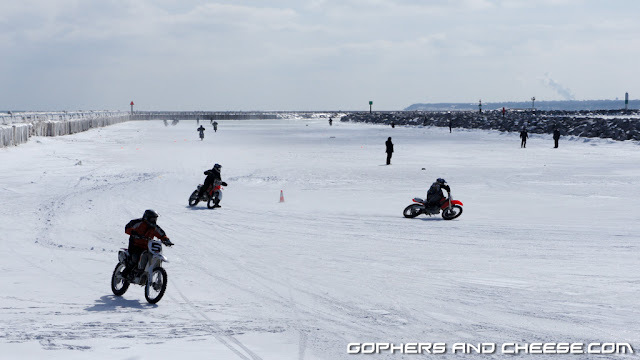 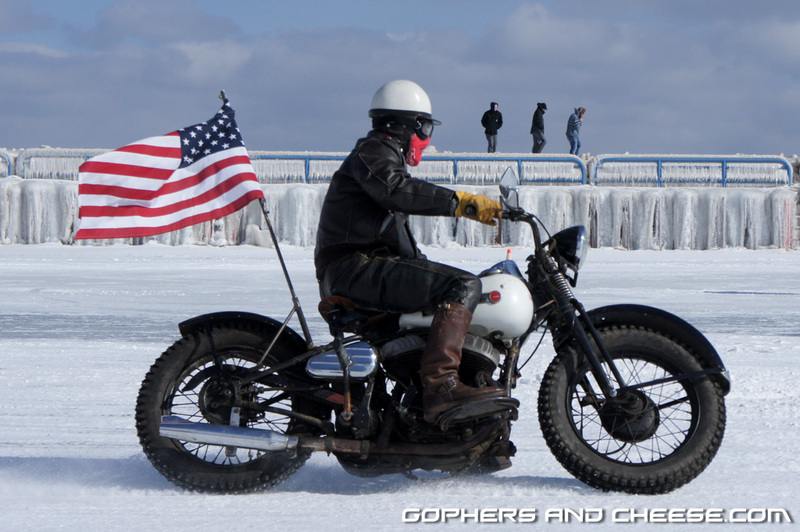 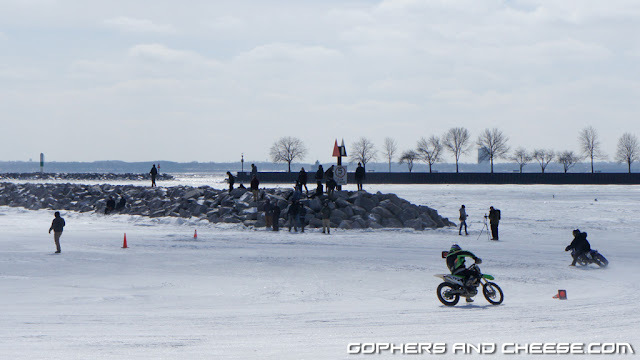 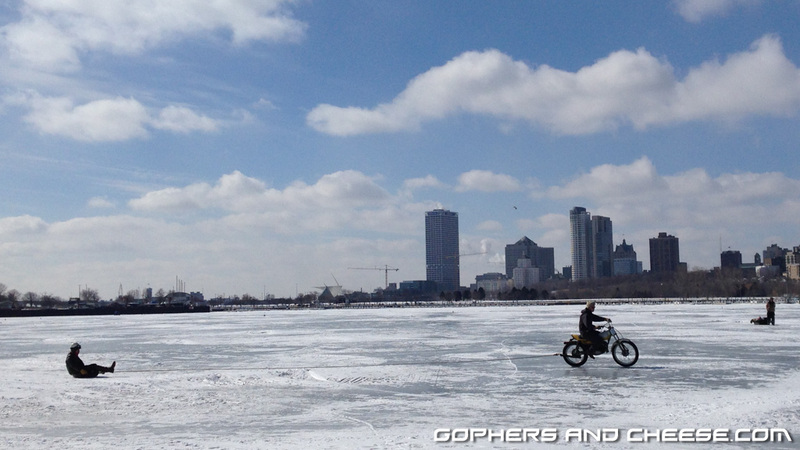 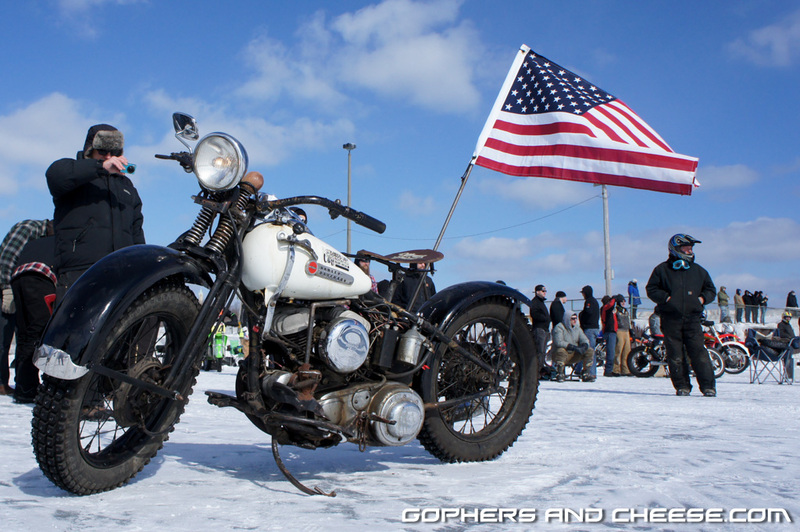 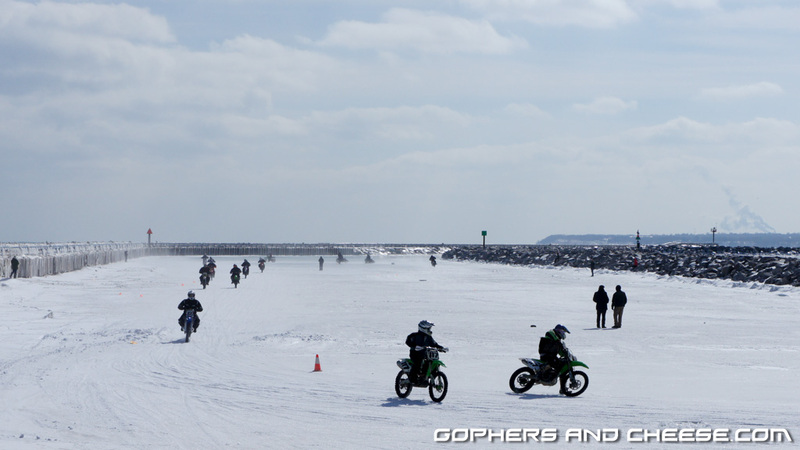 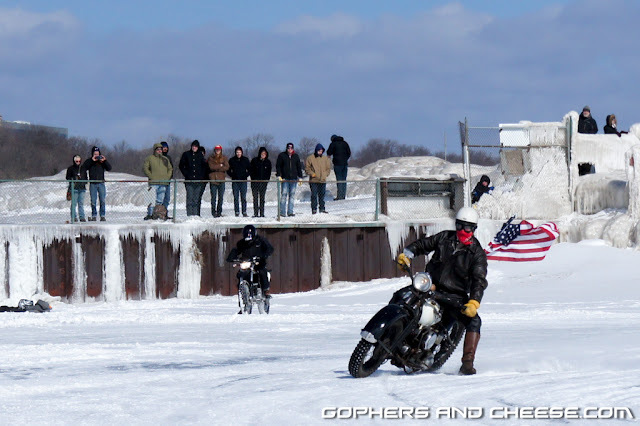 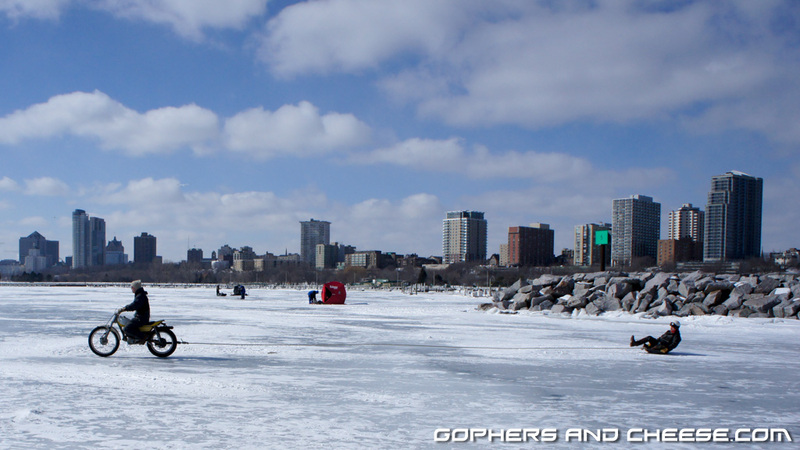 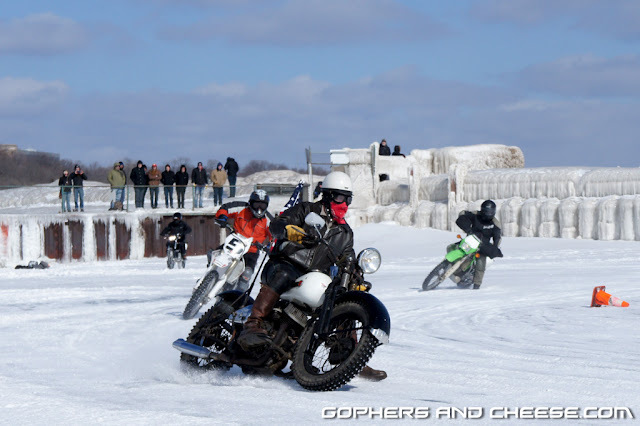 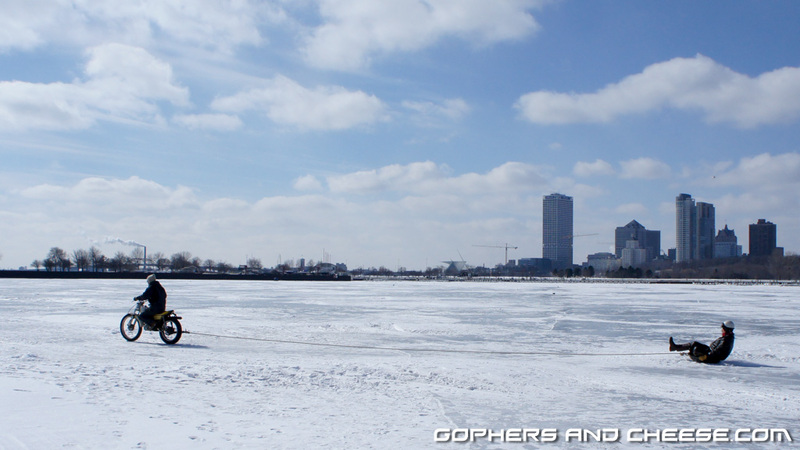 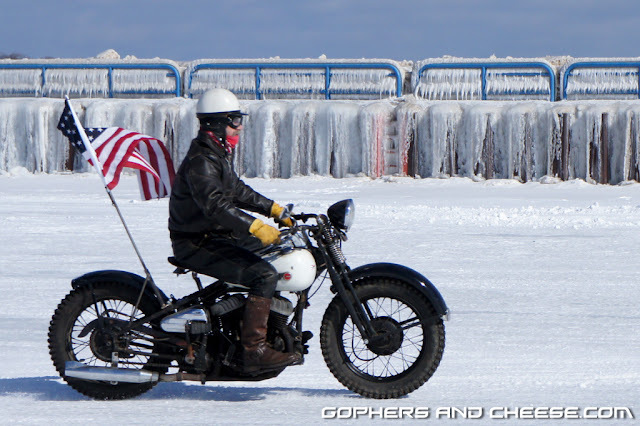 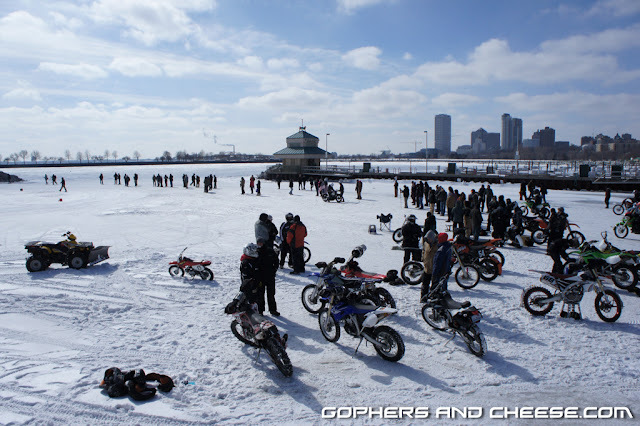 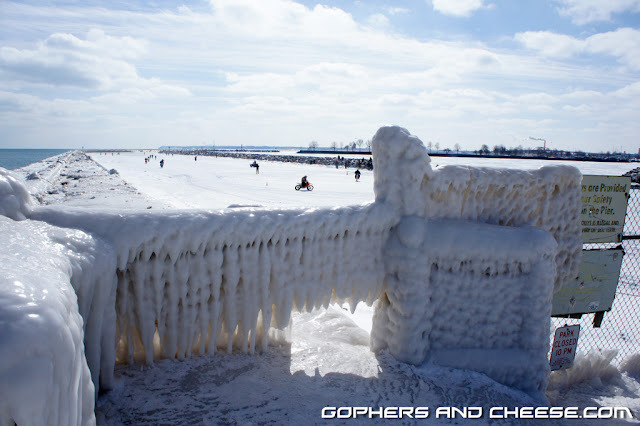 If you've seen any photos from ice riding at Mama Tried 2015, you probably saw a guy on a white 1942 Harley-Davidson WLA flathead with a big American flag flying off the back. 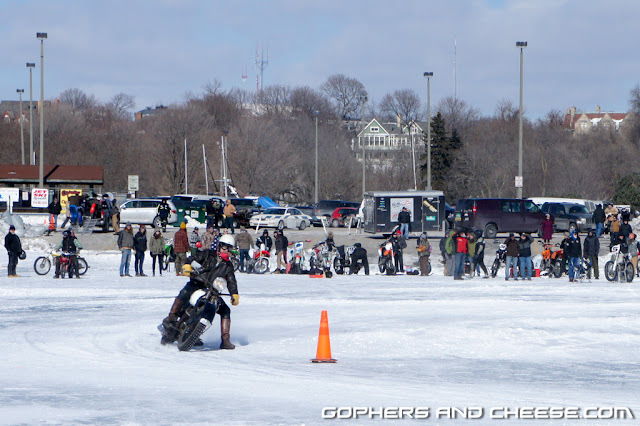 Well, that guy's name is Lee Fealy and he was difficult to miss. 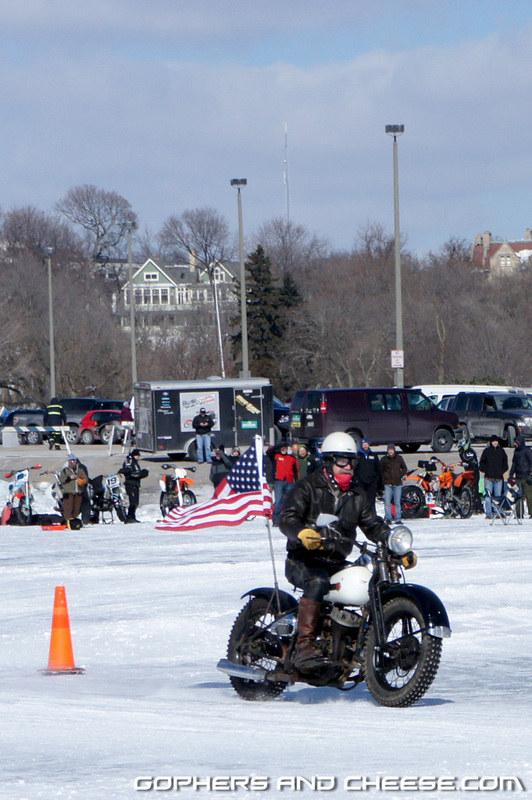 He was so much fun to watch. 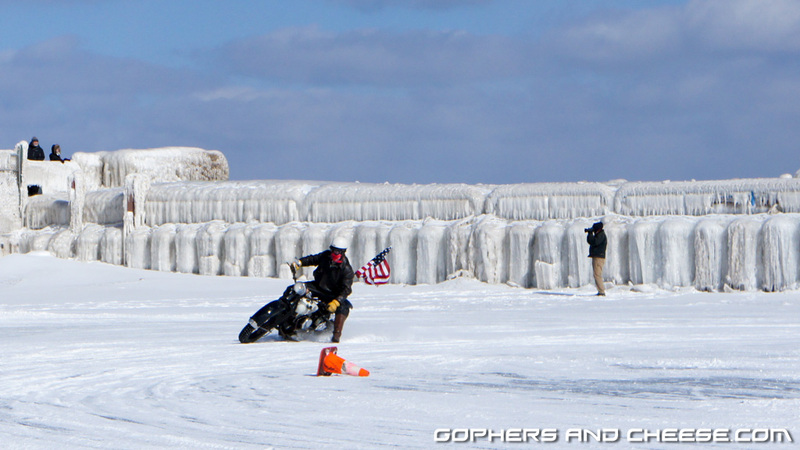 When he wasn't riding he was still being awesome being pulled around in a sled! 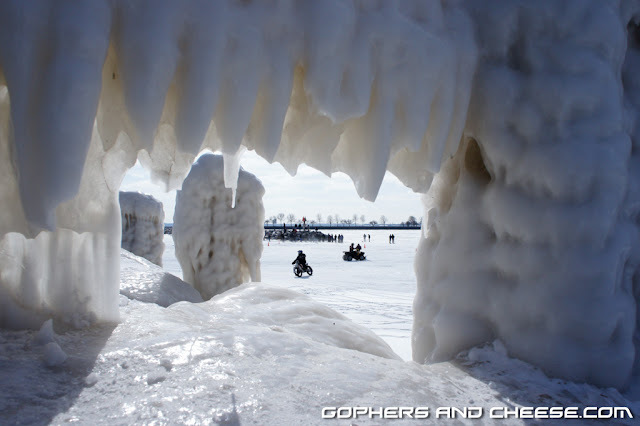 Here are some shots of his WLA. 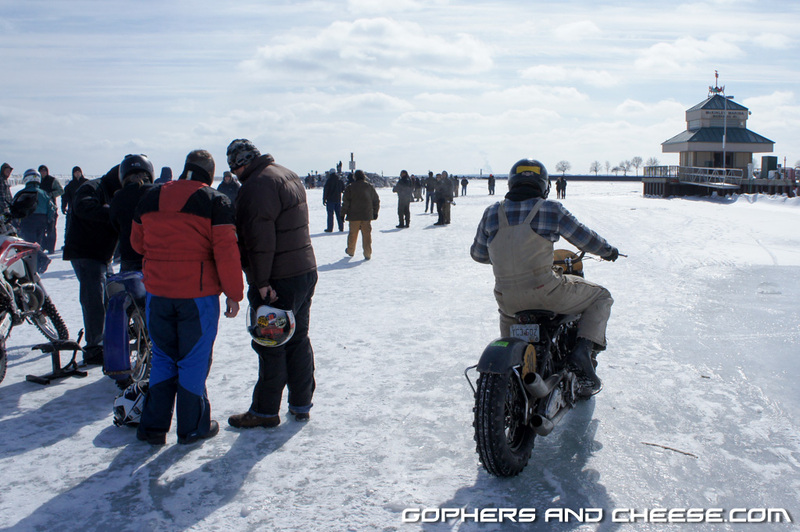 Some of the stickers on his tank included Full Tilt and the Bearded Lady so it was nice to see the Twin Cities so well represented. Ben (Benderwerks) was another character that was fun to watch. More photos of him later. The crowd steadily built and more and more people took to the ice. A young man on a very old bike shows up next and runs side by side with Lee. Come back tomorrow!